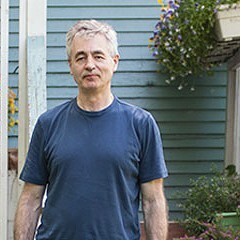 Filmmaker Steve James and writer Alex Kotlowitz have been buddies for years, so it's not surprising that James was interested in the May 4, 2008, New York Times Magazine cover story Kotlowitz wrote about CeaseFire, a social experiment that treats chronic urban violence as a public health problem. But James says the story resonated so deeply that "when I read it, I called him right away and said this could be a really strong documentary." The Interrupters, the film that grew out of that call, will have its first local showing at a youth media summit at Columbia College this week, and opens at the Gene Siskel Film Center next month. James's first film, Hoop Dreams, came out of nowhere to win the 1994 audience award at Sundance. It followed two aspiring basketball players—Arthur Agee and William Gates—through high school, chronicling their effort to escape Chicago's impoverished ghettos by following Isiah Thomas's path to the NBA. The film became a classic, but in the years after its release two of the most important people in it fell victim to the violence CeaseFire is addressing. In 2001 Gates's older brother (and first coach) was fatally shot; in 2004 Agee's father, a former drug addict, was murdered in his garage. No one has been convicted in either case. CeaseFire Illinois is the brainchild of UIC physician Gary Slutkin, a University of Chicago-educated immunologist who battled TB in San Francisco and then spent a decade in Africa fighting AIDS and cholera. 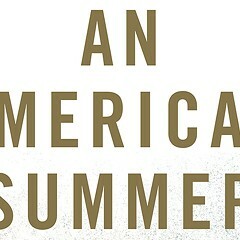 Returning to Chicago in the mid-90s, Slutkin looked at the city's rampant violence (827 homicides in 1995), noted its similarity to a disease outbreak, and concluded that what we had on our hands was something he knew how to handle: an epidemic. In that case, as he can be seen explaining on several videos available online, the usual official response to violence—more criminalization and jail time—would be akin to the Dark Ages practice of punishing victims of the plague. Science has shown that the way to stop an epidemic, Slutkin says, is by "interrupting transmission" and "changing behavior." According to Slutkin, violence—which so often appears instinctive and inevitable—is something much more malleable: a learned behavior, acquired mostly through unconscious copying and locked in by social pressure. Like other behaviors—say smoking, or using condoms—the "principal driver" is the peer-group norm. "We learn what our friends expect of us," Slutkin says, and that's what we do. In the right circumstances, "the whole thing can be escalated" into mob action (the fatal 2009 beating of Fenger High School junior Derrion Albert is one example). CeaseFire was launched in West Garfield Park in 2000 as a program of the UIC-based Chicago Project for Violence Prevention, and the results were impressive: the number of shootings in that area dropped 67 percent during its first year of operation. By 2004 CeaseFire was bolstering its staff of outreach workers with a new category of employees it called "violence interrupters." Recruited for their street cred and often ex-offenders, the interrupters were tasked with finding and heading off confrontations, mediating conflicts, talking aggrieved parties down, and preventing bloody acts of retribution. A multiyear study sponsored by the U.S. Department of Justice and published in 2008 found a 16 to 35 percent drop in shootings and killings directly attributable to CeaseFire's efforts. Now CeaseFire Illinois has an $8 million annual budget (funded by government and foundation grants) and employs 58 violence interrupters and 72 outreach workers. Director Tio Hardiman says the program is being replicated everywhere from Kansas City to Iraq. Working out of Kartemquin Films, with an $850,000 budget, James and Kotlowitz started filming CeaseFire activity in the spring and summer of 2009, and were still shooting through the fall of 2010. Operating on call with as small a crew as possible (James as cameraman, Kotlowitz interviewing, and Zack Piper on sound), they focused on the lives and work of three CeaseFire interrupters: Cobe Williams, Eddie Bocanegra, and Ameena Matthews (daughter of legendary Black P. Stone founder Jeff Fort). But they weren't trying to make a profile of the organization, Kotlowitz says. "We wanted to do something larger. We wanted to take a probing look at the violence. CeaseFire is a prism for that; the interrupters are our eyes and ears." They wound up with 300 hours of life and strife on the streets of Chicago that they were still editing when folks at Sundance convinced them to bring the film to the 2011 festival as an official selection (which meant they weren't in competition there). The nearly three-hour version Sundance audiences saw elicited enough complaints about length that they subsequently chopped off 20 minutes. PBS's Frontline will run an even shorter two-hour version in 2012. A New York opening is set for July 29, the two-week Film Center run starts August 12, and the film screens from August 26 through September 1 at the ICE theaters in Chatham and Lawndale. E-mail Deanna Isaacs at disaacs@chicagoreader.com. He doesn’t offer solutions, but he’s an empathetic witness to the damage done by violence.